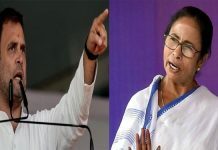 Kolkata, 18 August: WEST Bengal Congress president Adhir Ranjan Chowdhury on Tuesday did a “Dada at Lord’s” act during the party’s Bengal bandh, making Chief Minister Mamta Banerjee to mock him saying that such theatrics would someday end him up in a photo frame. In colloquial Bengali,”chobi hoye jawa” denotes death. Ms Banerjee, however did not name anyone while making the jibe but her comment made it clear whom she was referring to. 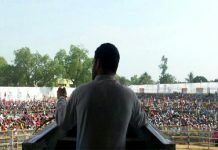 The remark came after the pradesh Congress president took off his shirt while protesting the police’s applying of force to remove party workers who were picketing at a government office at Berhampore during the Congress’ 12-hour Bengal bandh on Tuesday. This revived the memory of former Indian skipper Sourav Ganguly taking off his shirt to celebrate India’s victory over England at Netwest series final at the Lord’s Cricket Ground in London in 2002. Reacting to Ms Banerjee’s pinch, Mr Chowdhury dared her to eliminate him from Bengal’s political scene. “She is used to eliminate people and has made her way to power by doing so. 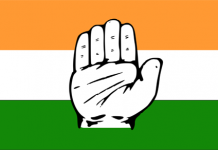 I dare her to try the same on me,” the state Congress president said.